How are you going to wear your stripes? One of the biggest trends for this Spring/Summer is stripes. Anywhere from your timeless black & white stripes to candy colored stripes. How are you going to wear yours? Here are some of the hottest looks to wear now and help you transition to a fabulous new you. Ps. 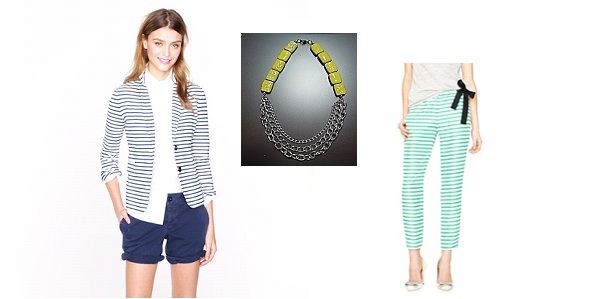 Did you see how you can wear my Mara necklace with your favorite stripes?